Do you know that your Operating System can expire? Everything has a lifecycle on this planet. Just like that, Every Windows operating system you are using has a lifecycle. The life cycle of an operating system starts when it is released and ends when the support is stopped. 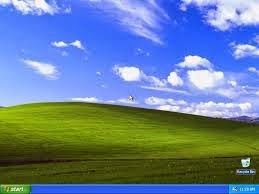 So far you have seen the most loved operating system, Windows XP getting expired on April 8th this year. Microsoft have ended support for Windows XP lately and made available the self-support guide for personal troubleshooting your XP. It is important and necessary to know the expiry dates of an operating system that we are using which helps us to plan for the upgrade in right time. The following are the expiry dates of Microsoft’s operating systems for your reference. 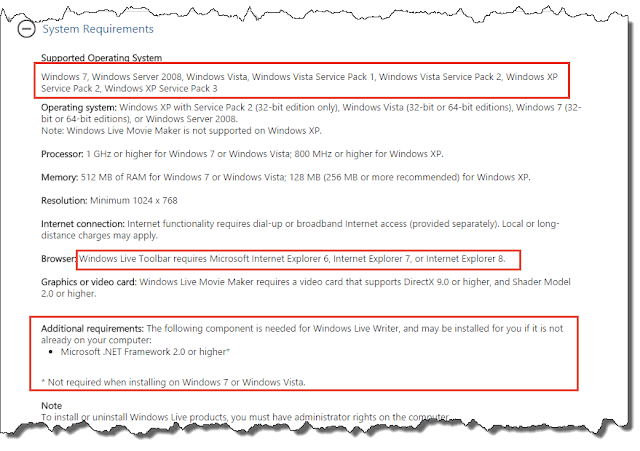 To download the service packs for respective operating systems, go to windows.microsoft.com/en-in/windows/lifecycle and click on respective download link specified. End of support means Microsoft no longer provides, service packs, patches and any other security updates or even online technical assistance regarding that particular operating system. When you are not receiving security updates and patches from Microsoft, there is an elevated scope of being attacked by new viruses, malware and hackers that can steal your personal and sensitive information from your computer. How to know your operating system? After reading the expiry dates of operating systems, your would have wanted to know your operating system on your computer. To know your operating system, Right Click on Computer > Properties. Note: If you are still using Windows 7 RTM, its time to upgrade it with latest service pack as the support for RTM version of windows 7 was already expired an year ago. What to do if your operating system is expired? 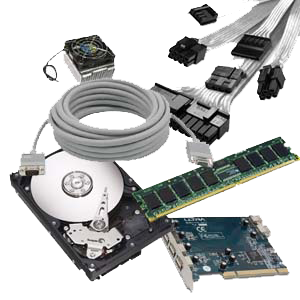 If your operating is expired or coming nearer to the end of support date, that means its time to upgrade your operating system with latest service pack or operating system of a whole. To get the updates for your OS, go to windows.microsoft.com/en-in/windows/service-packs-download#sptabs=win8 and download the respective update and install it. The reason why companies end support for their older operating systems is because of the un-solvable critical issues raised regarding the security and usability of the operating system. So it is better updating our computers from time to time to keep our data secured. Are your still using expired operating systems? what problems do you get using it? share your experiences with Windows operating systems with us. Even though Windows 8 and 8.1 are the ‘so-called’ most loved as well as the most desired editions of Windows operating systems today, people in corporate still do not prefer using these OSes, but Windows 7. In fact, you must be surprised when I tell you that Windows XP is still a preferred version of Windows series of OSes. As you know that Microsoft has already announced that they no longer provide Security Updates and Support services for Windows XP, people have no other option, but to upgrade to a new edition of Windows OS – either Windows 7 or Windows 8/8.1. Today, you can hardly get a new laptop or PC with Windows 7 preinstalled. Most of them are available with Windows 8. Those who are not comfortable with Windows 8 go for a clean Windows 7 reinstall after formatting the boot drive clean. They sometimes feel like reverting to the previous version of OS with the system recovery option, using either the recovery disc or a recovery USB drive. A recovery partition is a special drive on your PC, which enables you to factory restore your PC or restore your PC to an initial working state, in case it fails to boot due to corruption in Windows or a like cause. The recovery drive works exactly how a bootable disc does the job. With a properly created recovery partition or drive, getting your system back to a healthy state is always easy and productive. Therefore, it is all the way mandatory to create it the right way for fruitful results. “Right after the official release of Windows 8, I purchased a brand new Dell laptop with Windows 8 preinstalled. I, initially, was not very comfortable with Windows 8, but things got a little better after I upgraded to Windows 8.1. Later, since I’m a corporate user, I experience Windows 8 based PC is minimizing my interest in the work, and then I decided to install Windows 7 – my most favourite OS amongst all the versions of Windows operating systems. Before formatting the boot partition containing Windows 8, I created a recovery USB, wondering if I ever had to get back to Windows 8. I formatted the Windows 8 partition clean and installed Windows 7. Now, after more than one and half a year, I’m no longer using that laptop for my Office work, so I decided to get back to Windows 8.1. However, when I tried to get back to the previous installation of Windows, it shows ‘missing recovery partition’ or partition has been deleted.” – I seriously want to go back to the previous version of Windows, but I’m not able to. Need help. As per the aforementioned scenario, the recovery USB fails to get your PC back to its working state, i.e. when Windows 8.1 installed on it. The most likely reason is that you failed to create the recovery USB properly. Therefore, the only way you can get back to Windows 8.1 is to go for a complete Windows 8.1 reinstall. In the following section, see how you can create Windows 8.1 USB recovery drive. On your Windows 8.1 PC, drag the cursor of the mouse to the bottom right corner and then drag it upwards and click in the Search bar. Type in ‘recovery drive’ in the search bar, and then click or tap the ‘Create a recovery drive’ option. When the recovery drive tool opens, see if the ‘Copy the recovery partition from the PC to the recovery drive’ check box is checked. With this check box checked, click the Next button to proceed. Important: If your PC has no recovery drive, then the check box greys out. Now, you need to insert a USB drive with storage capacity equal to what is required and shown on the screen. Select the drive that you want to create and use as the recovery drive, and then click the Next button. Do any of the following after the USB recovery drive is created successfully. a. Click ‘Delete the recovery partition’ option to delete it. Click Delete to allow. b. Click Finish to keep the recovery partition on your PC. You now have the USB recovery drive for your Windows 8.1 PC. However, you must be very careful while restoring your PC to the previous version of Windows. Failure in restore may cause one or more partitions missing. In order to recover missing partitions on Windows PC, use an advanced partition recovery software for Windows. So many of us have been customized to use pirated software. There are two problems of using a pirated software. You might have easily got an ISO file of it in a torrent site but it is as harmful as easily available. A pirated software will be hacked to use limitlessly and it cannot be trusted on our computers. The hacker might have injected harmful code and have modified major security areas of the operating system in favor to him. While buying computers, we care only about hardware more than software. We are pretty much aware of the fact that software costs a bit high and the computer price might go tall when genuine software is preferred. You may not want to care about genuinity of the rest of the software but you should be careful about operating system at least. Most of the operating systems people use today in the world are not genuine and so exposing themselves to brutal hacks. Yes I mean it! If you see this message on your computer screen, that means its time to buy a genuine operating system. You may contact your retailer from whom you bought computer if wanted. Besides buying a new operating system, you may want to use your computer without ‘windows not genuine’ message popping up every time you boot it. At those critical emergency times, use the following technique to resolve the issue. Windows Genuine Advantage tool is responsible for handling windows genuinity issues. It is responsible for displaying the messages while booting and when on desktop. If we could perform a little hack on this, we could overcome the problem of genuinely messages. Note: Remember we don’t support any illegal or pirated versions of software download and installations. We are not making Windows genuine in this article but just trying to overcome the difficulty with popped messages in urgent times. Step 1: Press Ctrl+Alt+Del to open task manager. Find WgaTray.exe in the running processes and end it. Step 3: Find WgaLogOn.dll and WgaTray.exe files from System32 folder and rename them. If you can’t find the extension for the WgaTray file, got to tools > folder options > view > untick ‘hide extensions from file types’. That’s it go back to your desktop and continue with your work. But don’t forget to get a genuine operating system. Note: As said earlier, this is not the process of activating or making windows genuine. Renaming Windows Genuine Advantage tool is a threat to security of windows operating system. Working on WGA tool disabled operating system is not recommended. Do you ever wanted to listen to your own voice by enabling a simple option on your computer or laptop? Do you ever find it difficult giving a oral presentation without a microphone setup separately? If you answer is yes, I have a one stop solution for your problem here with me. You no need to have separate microphone setup for this. Just sit back relaxing and follow my instructions as shown below. Step 1: Go to Control Panel and click on Hardware and Sound. Step 2: Now click on Manage Audio Devices under Sound category. Step 3: Switch to Recording tab from the Playback tab which is shown by default. Step 4: Right-click on the Microphone > Go to Properties. Step 5: Switch to Listen tab > tick the Listen to this device option > Apply > Ok. Step 6: Test your voice with your web cam’s or headphone’s microphone. The brightness of monitors or laptop screens can be set to adjust automatically according to the ambiance light of the place you are sitting in, with your computer. 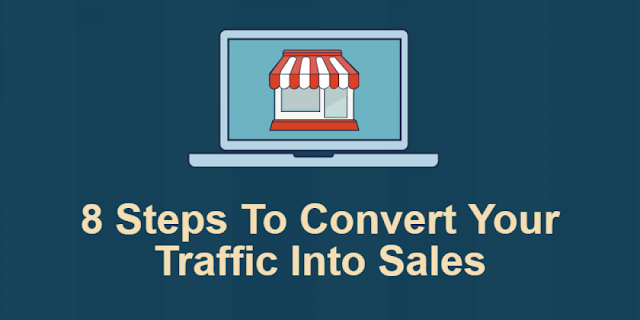 This feature can be either automated or manulalized according to your needs. This feature is actively known with the name ‘adaptive brightness’. Adaptive brightness is a kind of technology that adjusts brightness for different kind of content that is shown on the display screen. It adapts to the environment and thus making displays dim or brighter. If you are viewing the darker content on the screen, the technology would dim the display and when doing typing work or viewing brighter content with white backgrounds, the display would increase the brightness automatically. Adaptive brightness technology is very helpful for those who use computers or laptops for regular use. Using this option would increase the battery life after all. But for those who does multimedia work, adaptive brightness is a pain. Just think how distracting it would be when trying to brighten an image in Photoshop with dim setting! Not only the multimedia users, the normal users might want this setting turned off when working with Photoshop or similar tool. So now, I’m going to show you how to turn this setting On/Off according to the necessity. Follow the instructions as shown below to turn On/Off adaptive brightness on your computer screen. Go to Power Options > Chang plan settings. Click on 'Change advanced power settings’ > Scroll down to ‘Display’ > Click on ‘+’ to expand > Click to expand ‘Enable adaptive brightness’. You will see ‘On battery’ and ‘Plugged in’ settings under ‘Enable adaptive brightness’. Toggle them On/Off as per your wish. Clicking on Windows 8 lock screen before you get the start screen every time is a bit of pain for the patience. When you boot or wake your PC from sleep, you’d see the lock screen with live notifications of time, calendar events, social apps and battery power. This would remind you using a smart phone rather not a computer and more specifically when you wanted to get back to work quick after waking your computer up the lock screen would stand as a unnecessary gateway to get through. When it come to PCs, you would want to get back straight to work after waking up the computer from sleep. In this case, bypassing the lock screen is recommended. Go to Computer Configuration>Administrative Templates>Control Panel>Personalization and double-click on ‘Do Not Display Lock screen’ and ‘Enable’ it. Click ‘Ok’ or hit ‘Enter’. Restart the PC and you’ll be taken straight to login screen instead of the lock screen. 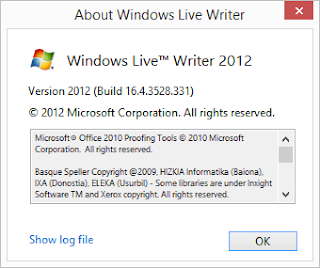 Note: Local Policy Editor will only be available in Windows 8 Pro and Enterprise editions. If you are using any other version of Windows 8 operating system, please read through other methods also. Windows lock screen can also be disabled using Windows Registry. Any version of the Windows operating system would have windows registry and it is the integral part of the Windows family. Note: Backing up registry before making up any changes is a good practice. Hit Windows+R, type ‘regedit’ and hit ‘Enter’. This will open Windows Registry window. Right click on the right pane and create a DWORD with name ‘NoLockScreen’. Set its value to 1 and exit the registry. Restart the computer and you’ll notice the lock screen skipping off the boot. Note: You will have to create the ‘Personalization’ folder if you don’t find it in the path specified in the registry. We have discussed about bypassing login password of Windows 8 or 7 so far. It was a method to get back your password forgotten windows account. But this trick is somewhat different. It is like changing Windows users passwords a bit but in a total geeky way. This method of changing passwords for different users(including administrator) is useful when he/she forgets the password for his/her local windows account. It is not recommended to use it for illegal purposes. You can notice the detail 'User may change password' set to 'Yes' from the above screenshot. If this is set to 'No' it is not possible to do this hack. Here you should also notice the detail showing 'Local Group Memberships' with 'Administrators' privileges. So it means, I'm allowed to change the password for this administrator account. After you make sure it is allowed to change the password, type the following command to perform the hack. Replace [username] with local username and Hit enter. You will be asked to enter new password, type a new password and press enter. Then asks you to confirm the password, enter it again and hit enter to finish the process. If you have successfully entered the same password twice, it will show you a success message saying 'The command completed successfully' as shown in the screenshot below. Remember, when entering the new password, blank spaces will be shown for characters you enter. Don't get panic when you notice this. You can change password for any account like this by just replacing the username with the local user account name. This method is dangerous sometimes. You may lost access to your computer and data when you give your PC into wrong hands. So be careful with whom you give your computer to. Microsoft had announced the ending of support for Windows XP from April 8th 2014. XP is the most successful product from Microsoft and so it is the most used operating system in the world. Microsoft alone is advancing with the latest upgrades and releases of windows operating systems but not the people. 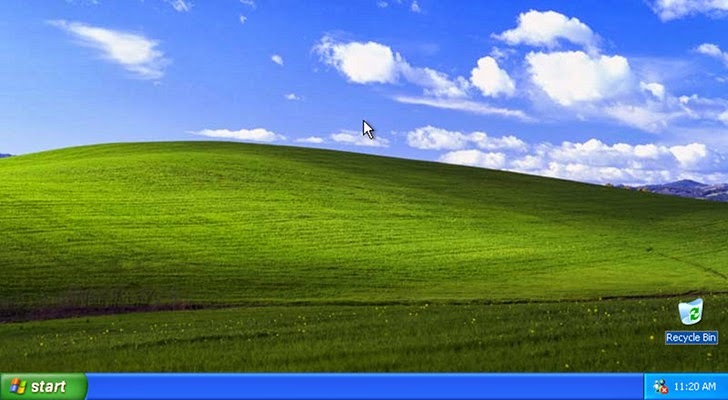 Most of the computer users are still using Windows XP on their computers. The news was leaked a year ago before the official announcement and spread in media. Microsoft made it official earlier this year. The company is much concerned about the security vulnerabilities that are existed in XP and says that they cannot be solved with security patches which were released so far and further. The ending of support for XP raised voices against Microsoft. People, who till then were so get used to the most successful operating system are not ready for this. I have discussed about the news with some of Windows Xp users and found 10 reasons why people hate to upgrade from XP. The era of Xp introduced computers to every home. Every common man started learning how to operate a computer with Xp installed. They have done A-B-C-D and A-P-P-L-E on Xp itself. The word 'computer' gives them a picture of green meadows with blue sky and clouds and it is strongly fixed in their minds. People those who grew up older with Xp couldn't inherit the changes the tech world is making. So they don't like their computers be spoiled with unknown new operating system upgrades. Windows Xp runs on the system with minimal hardware configuration. As there are minimal graphics in the UI of the best operating system, it works best on computers that are a decade older. When the Xp has to be upgraded, the computer has to be upgraded with the hardware too. Let's suppose a Windows Xp computer with 1Ghz speed processor and 512 RAM. If it has to be upgraded to Windows 7 or Windows 8, the RAM should be upgraded to 1GB at least. So upgrading the existing operating system would weigh a extra burden for computes with low hardware configuration. People usually use older versions of the software with the older operating systems. The newer version of the third party application software need newer versions of the OS to be installed on. The older operating systems may not have the frameworks, or other supporting software upgrades which are essential in installing their latest versions. If you wanted to use an application software that need .Net framework 4.5 version installed on it, Xp would be the total incompatible platform. Upgrading Xp would increase the sub-costs of upgrading software which can go high based on requirements. Due to increase in the cost of upgradation, users step back of it. Upgrading from windows Xp is not just upgrading your hardware and software, you should also upgrade your brain to use the later versions. Users who are customized to use Xp will find difficult using Windows 7 or 8. Particularly, old people who has worked their whole work life with Xp cannot easily adhere to new versions. The scenario turns total converse in case of smart kids who grew up playing on Xp. So older people would hate the upgrade as my dad's doing so with Windows 8 on our home computer. Microsoft also announced the ending of support for MS Office 2003 along with Xp. So one must upgrade to later versions of MS Office along with the Windows. It may or may not add a separate burden on the upgrade costs but it would certainly decrease the productivity of the employees who are accustomed to MS Office 2003. MS Office 2013, the latest version of office software would take some more time to get used to, comparing with 2007 and 2010 versions. Above 90 percent of the government and private organizations running their systems on XP. Over 95% of the ATM machines are running on XP all over the world. The upgrade message is really a bad news for them. As Microsoft has decided to end support for Xp, organizations can't risk the security of the people money in ATMs and so they have to be upgraded. 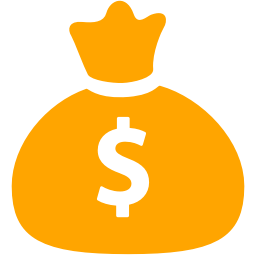 The expenses that costs for upgrade would flow a tsunami wave of revenue for Microsoft but it also would effect the organizations financially. This might have an impact on the bonuses and salary hikes for employees. This much loss is enough to be despicable. Apart from all the hatred reasons, upgrading software and hardware of your computer would bring more security to your data and speed up the workflow. If calculated, Windows 8 could complete half above the tasks more than that of Xp in a unit measurable time. Upgrade your system sooner and walk along with the tech world. How to Bypass Windows 8, 7 or Vista Login Password? Have you forgot the login password of your computer running on Windows 8, 7 or Vista? So what are you going to do? Believe me pal! changing operating system is not answer to every computer problem. Just follow the instructions below to get your computer back to your control. Forgetfulness is normal to an average human being. Don't curse yourself or squeeze out the most of your password memories. Booting your computer in Safe Mode would help solve your problem. Restart the computer and press F8 while booting up. This will bring you advanced boot options menu. Choose Safe Mode with Command Prompt from the available options. This will boot you up into Safe Mode with a Command Prompt. Now type net user Administrator /active:yes in the prompt and hit Enter. This will show you the status "Command Completed Successfully" on successful execution. Now restart the system by using system -r command. After restart, you will notice Administrator account being visible along with your password-forgotten account. Now login into your Administrator account which is not password protected by default (or If you have set any Administrator password previously, Enter it and log in). Right-Click on My Computer and Click on Manage. Click to expand Local Users and Groups. Double-Click on Users. This will show you the list of users on your computer. Right-Click on the account you have forgotten the password for. Then click on Set Password. You will be shown a prompt asking for New Password. Enter the new password twice and click Ok.
Now you have successfully changed the password for password-forgotten account. You can logoff from Administrator account and login into your original account now. Open CMD > Run as Adminstrator > type 'net user Administrator /active:no'. This will hide the Administrator account from being visible in the log in area. You can also set a password for your Administrator account to protect it from unauthorized access. The choice to choose a password for this account is left to you only as it may also be forgotten in future. If it happens so, the only way that helps you get back your computer safe is running a password reset disk. So create a password reset disk before you fall into pit again. Microsoft is trying hard to convince Windows XP users to upgrade to new operating systems. Microsoft seemed to be mostly concerned about the small businesses which are not stepping forward to spend on upgrading the operating systems they are working on. It is known that Microsoft announced the ending of support for Windows XP on April 8 of this year. That means Microsoft is not going to develop any patches or release any updates even regarding security after April 8. Being the successful operating system, Windows XP had shown a significant impact on the growth of computer users in the past decade. Despite of all the technological advancements in the evolution of the Windows operating system, there exists 21% of the computer users who are still using XP according to the survey by statcounter. "There’s never been a better time for small businesses to upgrade their technologies to Windows 8.1 and Office 365. That’s because, as of April 8, 2014, Microsoft will no longer provide security updates for Windows XP and Office 2003, and businesses will no longer be able to receive technical support from the company." Microsoft says in press release. Here by, the company also states the benefits of upgradation to the small businesses, "While giving customers and employees what they want is reason enough for most companies to upgrade their systems, those are just a few of the benefits that small businesses receive when they update to the latest technologies." As this emulator is still the beta version, you may need to download map along with the BIOS files before you run the emulator. You can download the BIOS files from this link. Paste the downloaded map in the emulator directory and run the emulator. Remember, you need to have an original XBox 360 game DVD or ISO copy of the game. Who developed XBox 360 emulator? This XBox 360 Emulator project started development since late 2011. The following teams contributed their crucial part in developing the emulator.